Primary surgery of cleft lip and palate has dramatically improved with technical and material advances. Some adults who previously underwent surgery still have upper lip deformities or extensive scar, and they are occasionally seen for secondary treatment. 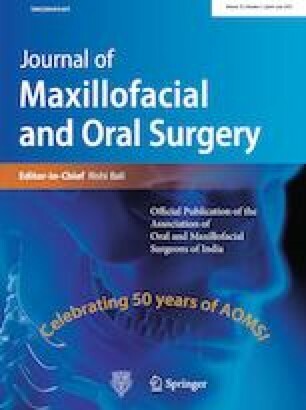 In our study, a total of five patients with secondary deformity of the upper lip with the scarred tissue with paucity of the muscle in the midline were operated using the modified Abbe flap. With this technique, we were able to achieve the bulk in the midline over the upper lip and the functional integrity of the muscle was maintained.